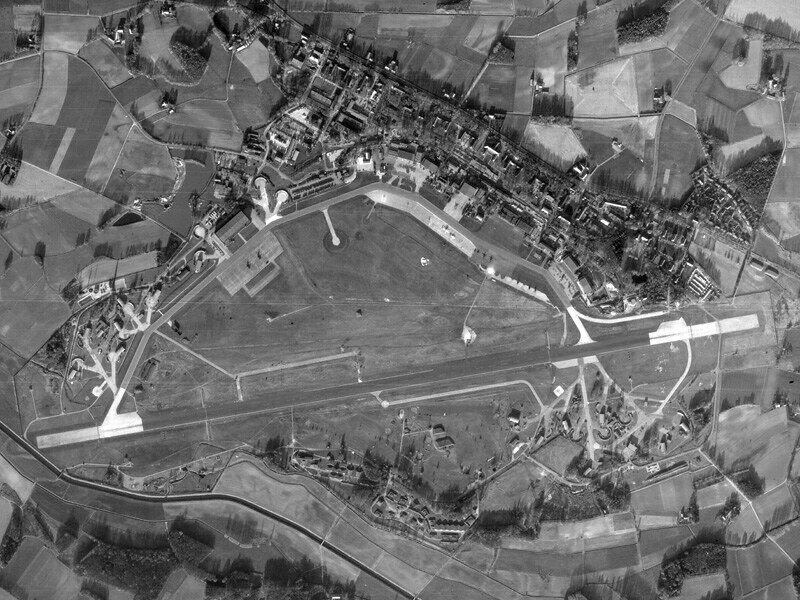 Gütersloh airfield (german: Flugplatz Gütersloh or Fliegerhorst Gütersloh, also known as Royal Air Force Station Gütersloh or RAF Gütersloh, ICAO ETUO, before 1995: EDUO) was an airfield 385 kilometers west of Berlin. Construction began in 1935, and the station was active in 1944-45 with Ju-88 Nightfighters of 5./NJG2 in protection of the Reich. 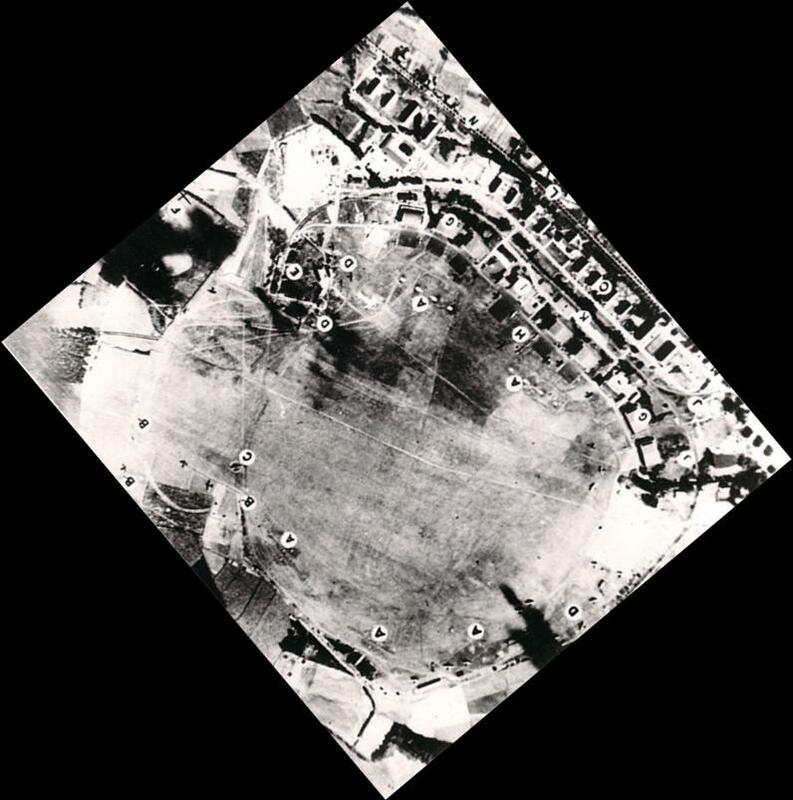 Fliegerhorst Gütersloh, allied reconnaissance photo 1944 (source), rotated to show the proper north. 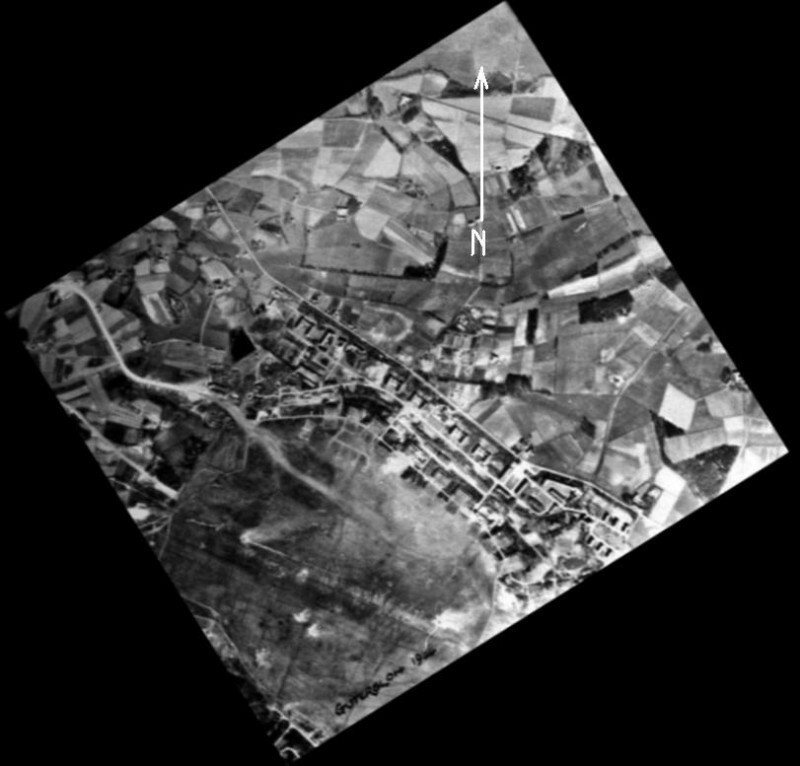 Fliegerhorst Gütersloh, allied reconnaissance photo 1945 (© Royal Air Force, via}, rotated to show the proper north. The base was captured by the Americans in April 1945 and was handed over to the RAF in June 1945 as Headquarters No. 2 Group RAF. 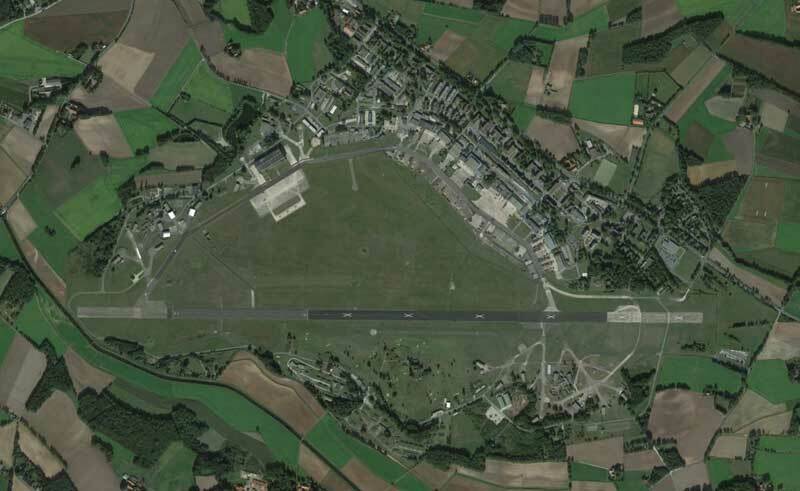 Like all other RAFG bases, RAF Gütersloh fell under the operational command of 2ATAF. The British initially built a 1,830meters long runway, which was later lenghtened to 2,252meters. 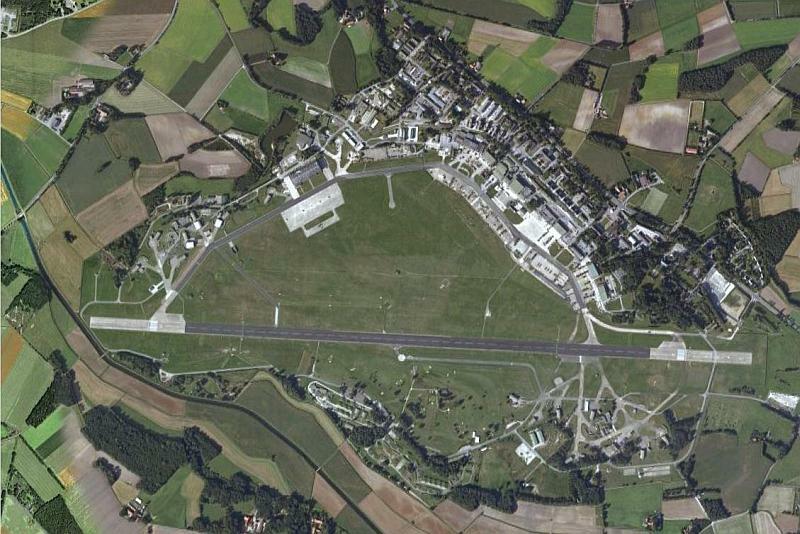 As such, it was the premier air base of the British air force in Germany (RAF Germany) during the Cold War. It was also the Royal Air Force air base nearest to the Inner-German border, in the vicinity of the town of which the base was named after: Gütersloh. During its RAF days the airbase was home to 25 different squadrons, operating a total of 15 different aircraft types (16 if you count the Harrier-II as a different type). Since the 1960s Gütersloh functioned as a hub for all of RAFG. In addition to the daily schedule of its own squadrons it had a daily service to and from the UK (Lyneham or Brize Norton), but the aifield was also served regularly by airliners from Luton. During ReForGer 1984, even British Airways Boeing 747s landed at the airfield. Its service as a hub meant it also had an always well stocked NAAFI shop, which meant that many NATO aircraft would visit the airfield. One of the Gütersloh Harrier GR3 squadrons during Exercise Lionheart in 1984 'somewhere in Germany'. According to Martin Fox, late 1980s pre-Christmas sales were good at Gütersloh. 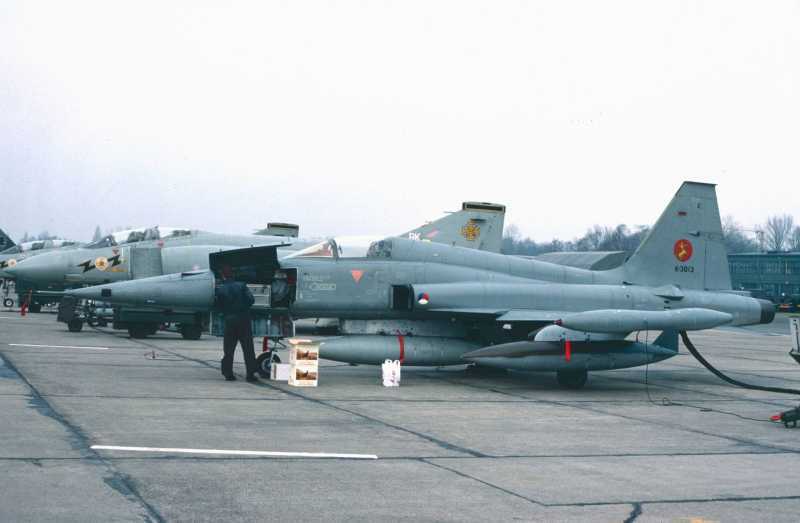 Here, we see two 111Sqn RAF Phantom FGR2s and a single RNLAF 314 Sqn NF-5A. Clearly, the NF-5A pilot is looking for a way to take some of his famous birds back to the Netherlands! When the RAF left Gütersloh in 1993, they transferred the base to the British Army. 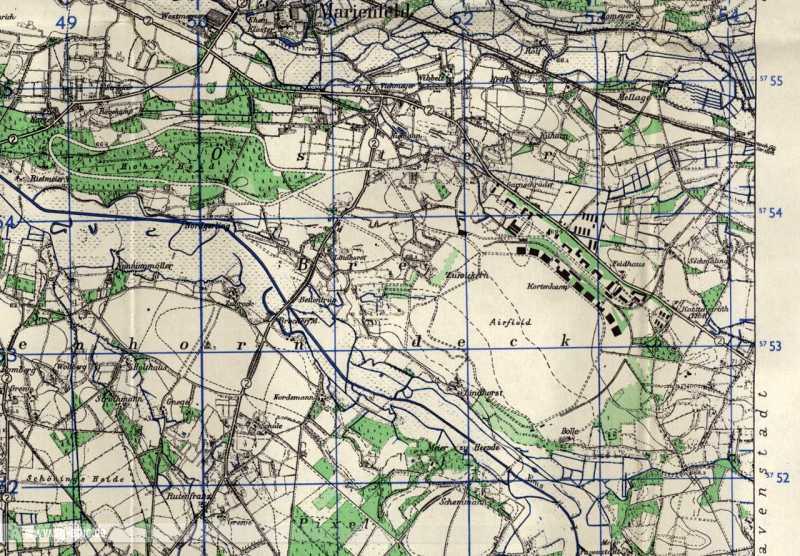 The army continued to use the airbase, albeit with 2 helicopter squadrons only. It was now called the Princess Royal Barracks, Gütersloh. Between 1994 and 2003 the British were seeking a civilian party to share the airbase, but the then Red/Green government in Germany prevented that. The idea was shelved in 2003. The last British flying units in Germany were withdrawn to the UK in October 2013. The airbase was permanently closed and its CTR deleted on 1 November 2013. The final units will leave at the end of 2014, after which the airfield buildings will become a commercial area, while the airfield and runway will become a nature area. In February 2013, Gutersloh airfield had large 'X' markings on its runway, indicating these parts were not to be used. Only a small section on the west side, as well as a parallel grass strip to the north and a short, less wide parallel asphalt strip were still in use as runways (Google Earth).